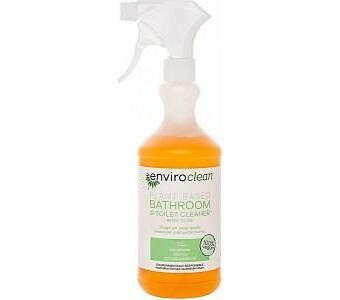 This fresh-smelling cleaner is non-caustic and chlorine-free but still a powerful disinfectant for bacteria-prone surfaces in the bathroom and elsewhere. Based on natural pine oil, the concentrated formula easily cleans and sanitises toilets, tiles and other hard surfaces. You can also add it to the nappy bucket for a sanitising soak, and even use it for first aid disinfection in emergencies.